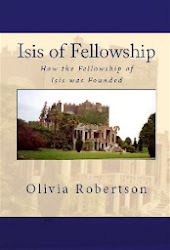 In the spirit of decentralization, the Foundation Center at Clonegal Castle will no longer archive the registrations for the Fellowship of Isis. Instead, each Archpriesthood Member will archive their records at their own center, and share the information with inquirers as necessary. The process to register a new FOI appointment or center remains the same: when a new title or center is certified, the Sponsor (person who issues the certificate) will contact a member of the Archpriesthood Union and submit that information. However, rather than sending the information on to the Foundation Center, the AU member will now keep it in her/his own personal Register. Additional note added 9/19/07: The overseeing of an Archival Record is also being offered by the Rt. Rev. Deena Butta. This is a voluntary activity for our members, and is separate from the process of formal registration with the Archpriesthood Union. For details and to participate, please contact Deena at deeankh@sbcglobal.net. For complete information on the registration process, please see: FOI Registration. 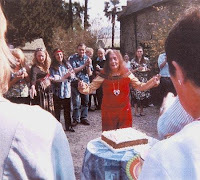 "My 90th birthday dedicated for two days to the Goddess Brigid. 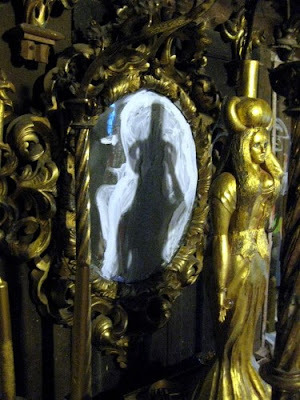 13th April: Procession of seventy people from terrace down the Yew Walk led by Lydia Lyte, drummer and Julie Felix, singer, both FOI Priestesses. Three playlets in Theatre - funny! 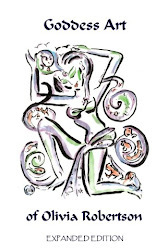 Demeter, Persephone by nieces Cressida Pryor and Caroline Pryor-Watson and "The Abduction Syndrome" by me - updated to include Indigo children! 14th April: Too many all to fit in Temple, which holds seventy! An ordination of Antoinette as Priestess of Kwan Yin. Thirty of my English cousins attended, including six children. Rt. Revs. Caroline Wise and John Merron came from London and Revs. Lydia, Jane Maxwell, Celia Thomas from Glastonbury. USA visitors came on the 28th April, Rt. Rev. Cathryn Anne Rogers and Rev. Pat Cummings. So all for the Goddess, not for me!" Lady Olivia's party was filmed to be shown later on a local television network. A further account of her birthday will also be included in the next Isian News.